Children and their families visited the Bear Fair at the Grand Island Public Library. Children visited various stations to learn about things such as healthcare and recycling. This is my 200th photo blog posting since starting a photo blog in 2011. 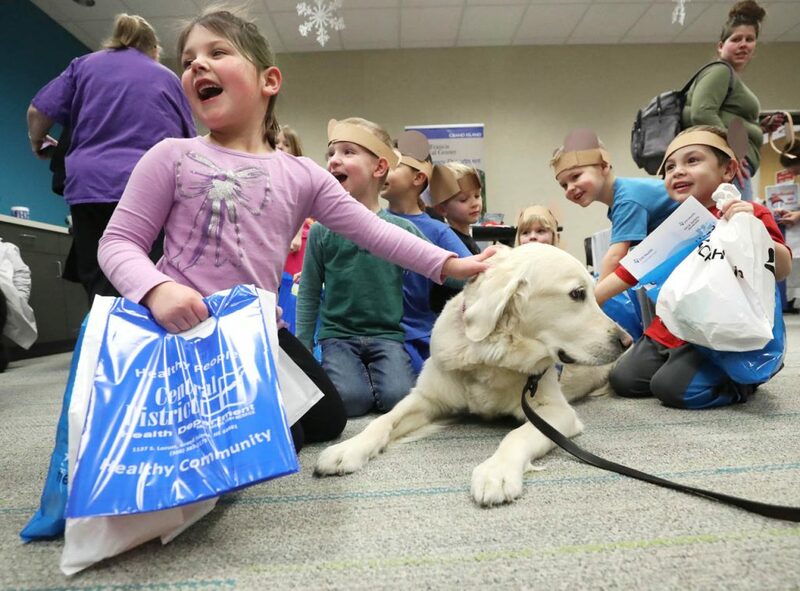 Eddie the comfort dog isnt a bear, but children very much enjoyed petting him during Bear Fair at the Grand Island Public Library Tuesday. 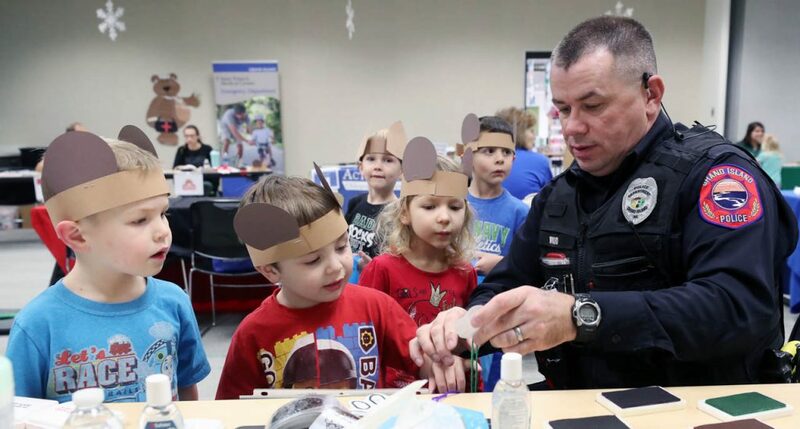 Children stand in line to get their fingerprint on a paper cutout of a bear claw by Grand Island Police officer Jason Wood during Bear Fair at the Grand Island Public Library Tuesday. 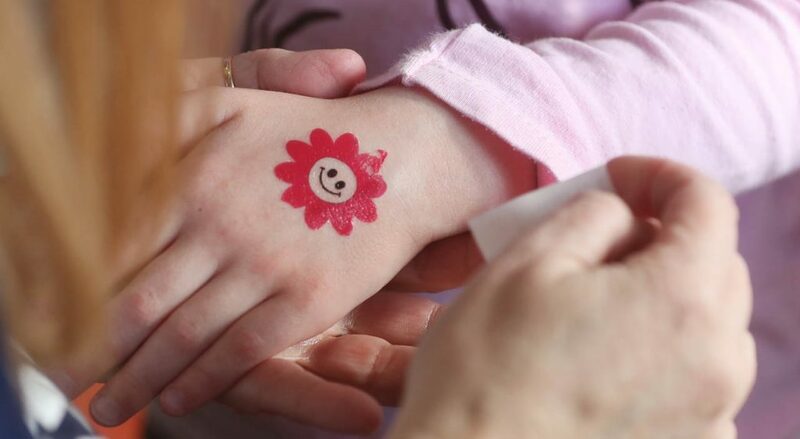 A girl gets a happy face washable tattoo during Bear Fair at the Grand Island Public Library Tuesday. 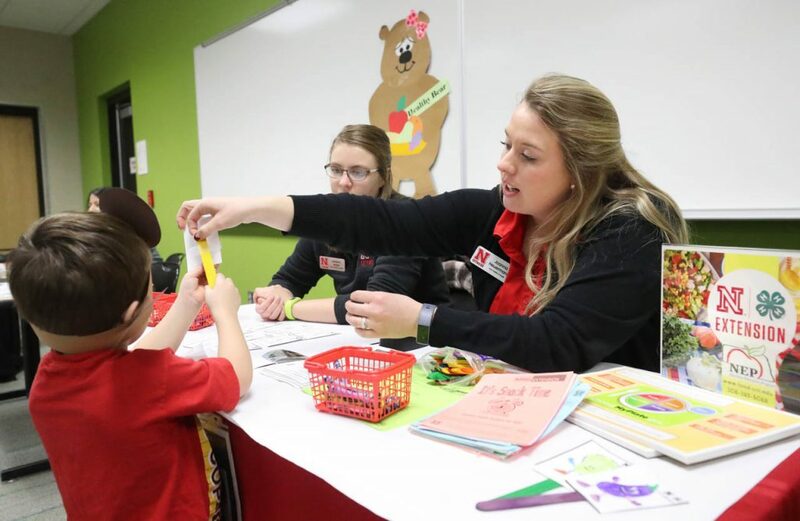 Jeanna Heuermann with the Nebraska Extension office, right, helps a youngster make his own vegetable puppet during Bear Fair at the Grand Island Public Library Tuesday. 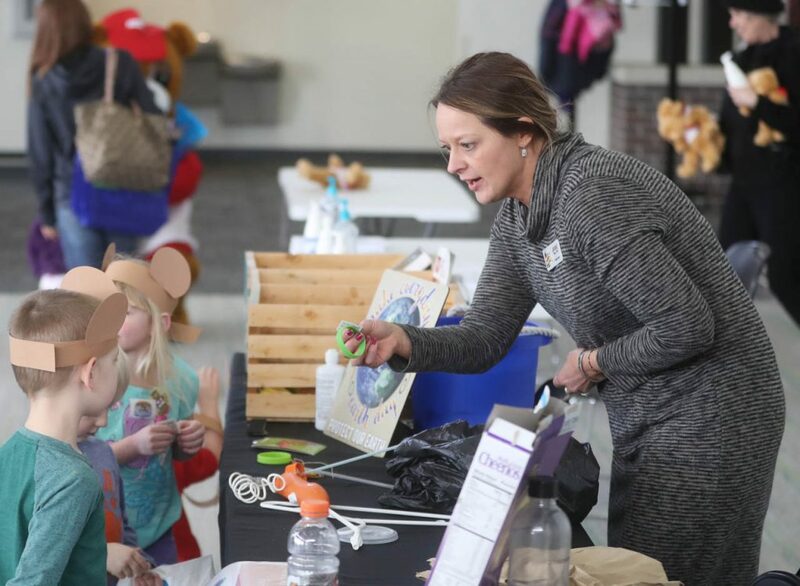 Jamie Parr, facility director with the Nebraska State Fair, hands out bracelets to children while learning about recycling during Bear Fair at the Grand Island Public Library Tuesday.